We would like to welcome our newest tenant, American Cutting Company, to the Colonial Grand Pacific Building. Occupying the corner suite on First Avenue and Seneca Street, American Cutting Company is a hip new hair salon featuring talented stylists, colorists, and even a “blow-dry” bar. 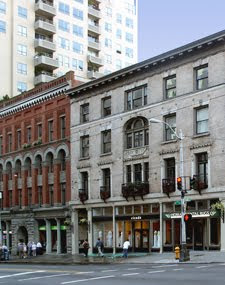 With an anticipated summer opening, they will be a wonderful addition to the building’s collection of boutique retailers.